Many of our Paso Robles Wine Club Members first learn about us when they take a wine tour with our sister company, The Wine Wrangler. Based in Paso Robles, The Wine Wrangler offers both social and private tours throughout the beautiful Paso Robles AVA. It’s no wonder that so many people fall in love with California’s Central Coast—rolling hills dotted with vineyards and oak, pastoral backroads, and ocean vistas. We think our area is one of the best places to venture off the main road and find an idyllic picnic spot. 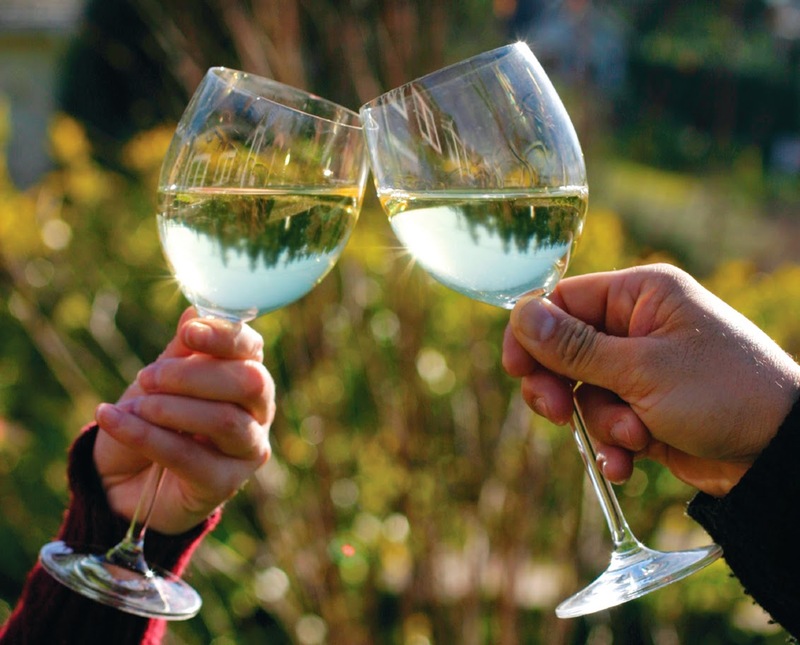 If you’re on a wine tour with The Wine Wrangler, your expert guide will lead you to the perfect spot and if you choose, provide you with a gourmet deli style lunch, but if your picnic basket is at the ready and you’re venturing off on your own, you might be looking for a few suggestions of the best white wines to take along. Summer weather on California’s Central Coast can be a little warm, so choosing a white wine to accompany your picnic fare, might be best. Chardonnay: Full-bodied and velvety, Chardonnay ranges from nuanced oak, butter and caramel, with notes of melon, coconut and vanilla. Pairing well with cheese and fruit, it’s also good served alongside dense bread and cured meats. Sauvignon Blanc: Herbaceous and grassy with notes of green apple, white peach, and apricot, Sauvignon pairs well with fresh cheeses—feta and chevre—pasta salad, and antipasto. Moscato: Sweet and musky with the flavors of roses, peaches, orange and honeysuckle, Moscato is excellent when served with fresh cheeses, fruit and desserts. Beautiful scenery and world class wines make Paso Robles Wine Country the perfect place to enjoy a picnic.